There are a lot of headsets that you get in the market today. Unlike in the past, they are far much developed as a result of the rapid development that has taken place in technology. SteelSeries Siberia 800 Wireless Gaming Headset is one of the headsets that you definitely you will not miss whether you shop from your local store or online. This is a headset that is somehow more expensive that most of the others that you find. To help you gain more understanding, here is a detailed review of the headset. In terms of how it is designed, the headset is very stylish. It has a very sturdy matte blackish plastic frame. The outer ears have a logo on them and are glossy black in color. The ear cups tend to feel shallow thus you might not feel so much comfortable wearing them for a long time. It also has a dial that is used to control volume. This dial only functions when it is used wirelessly, not when it is used on wired connection to a cell phone or something that is similar. There is also a button that is used in controlling the mic mute status and power. All you have to do is to have a quick tap in order to unmute and mute the mic. In order to turn it on and off, you need to hold it for some seconds. The mic also has a small red light strip that gives you the ability to see at any time if the mic is muted or live. This is an extra feature that you might not get from many other headsets. This headset has a pair of ports including a share port and a chart port. The two ports are covered with a rubber that does not feel so strong. It is possible for you to remove the rubber if you want without affecting the functioning of the headset. 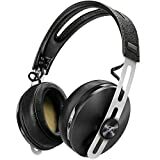 It is desire of every buyer to purchase a headset that gives high quality audio sound. This headset will not disappoint you when it comes to audio quality you get. It has the ability to handle both dynamic and directional audio perfectly so you will be highly impressed. The headset has the ability to handle booming, high treble and booming explosions in a perfect way. In addition, it can also separate voice from music and all the sound effects in a superb manner. The directional audio is very accurate and you cannot ask for better experience that what you get from the headset. One issue that you will note is when it comes to the overall volume because its 800’s limit is a bit low when you compare this to many other headsets that have higher upper range limits. The headset has a microphone that is of great quality. It offers enough game voice chat, but it is not perfect for podcasting and anything that of close to this. The microphone is competent when it is used together with other audio sources. The transmitter box needs power for it to work and it is usually the means on which you charge the headset. The transmitter has an optical out, USB and headphone jacks that help manage the difference sources of audio that you might require to put into it. At the front of the box, there are buttons and a display that can be used for tweaking audio profiles. They are also used for inputs, surround sound setup and many other aspects of this headset as you remain in the game. The transmitter is bigger compared to the one that you get from other wireless headsets. It also has a wireless transmission box that has a slot on the side which you can use to recharge the spare battery. The battery out system allows you to use the head set in its wireless mode in a more consistent manner. The headset is highly priced compared to most other headsets that you find in the market. This is one of the factors that make many people fail to buy it despite that it has high quality performance. Its high price offers the right value because it lasts long, versatile and its performance is also exceptional. This means that when you get it, you will definitely get the value of the money that you spend. 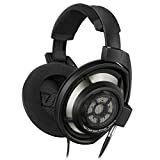 The headset has a rating of 3.7 on Amazon.com. One of the areas that many people recommend this headset is its high quality and good performance. Most of them also recommend it due to the fact that it has the ability to last for many years, thus offer the value of the money spend buying it. Most of the users hold that they are a bit tighter than required for the first time, but they get loose after using for a few days thus making it comfortable. One of the areas that people do not like is its price which is high for most people. Most of them also complain that the mic is not of high quality as it might be expected. By a wide margin this is one of the most expensive headsets that you get in the market. However, it is worth noting that every product that you get in the market is designed for some people, so if you have a good budget, I would not hesitate to encourage you to buy it because it will offer you the value of the money. This is in terms of quality, performance and its high durability. Just like any other product that you also get in the market it has its own drawbacks, but they are not huge to deny you buying it if you really want to buy the headset.